Screencaps gallery: Click on the thumbnails for larger images. Keep checking back to this post to see video interviews with Jeremy Irons talking about Batman v Superman: Dawn of Justice. New videos will be added as they become available online. Jeremy Irons was in attendance, on Saturday 11 July 2015, for the Warner Brothers panel for Batman v Superman: Dawn of Justice. Ben Affleck, Henry Cavill, Gal Gadot, Jesse Eisenberg, Amy Adams, Holly Hunter and Zack Snyder were also present. A new Comic Con extended trailer for the film was shown. The cast members spoke about their characters, briefly, and took questions from the audience. Afterward, the cast did an autograph session and then went over to the Entertainment Weekly suite at the Hard Rock Hotel to pose for photographs for the magazine. On Saturday, July 11, beginning at 10:30 a.m., Warner Bros. will showcase several of its upcoming feature releases and offer up a surprise or two as well. Keen to deliver a taste of one of next year’s most eagerly awaited pairings, director Zack Snyder and stars Ben Affleck and Henry Cavill take the main stage with “Batman v Superman: Dawn of Justice.” They are joined by castmates Amy Adams, Jesse Eisenberg, Jeremy Irons, Holly Hunter and Gal Gadot for a sneak peek at the 2016 action adventure that brings the Super Heroes together on the big screen for the very first time, from Warner Bros. Pictures and RatPac-Dune Entertainment. Fearing the actions of a god-like Super Hero left unchecked, Gotham City’s own formidable, forceful vigilante takes on Metropolis’s most revered, modern-day savior, while the world wrestles with what sort of hero it really needs. And with Batman and Superman at war with one another, a new threat quickly arises, putting mankind in greater danger than it’s ever known before. Directed by Zack Snyder, the film stars Ben Affleck, Henry Cavill, Amy Adams, Jesse Eisenberg, Diane Lane, Laurence Fishburne, Jeremy Irons, Holly Hunter and Gal Gadot. Snyder directed from a screenplay written by Chris Terrio and David S. Goyer, based on characters from DC Comics, including Batman, created by Bob Kane, and Superman, created by Jerry Siegel and Joe Shuster. The film is produced by Charles Roven and Deborah Snyder, with Wesley Coller, Geoff Johns and David S. Goyer serving as executive producers. Warner Bros. Pictures presents, an Atlas Entertainment/Cruel and Unusual production, a Zack Snyder film, “Batman v Superman: Dawn of Justice.” The film opens nationwide in 3D and 2D and in select IMAX theaters on March 25, 2016, and will be distributed worldwide by Warner Bros. Pictures, a Warner Bros. Entertainment Company. The official trailer for Batman v Superman: Dawn of Justice has been released. Batman v Superman: Dawn of Justice will be in cinemas on March 25, 2016. Batman v Superman: Dawn of Justice director Zack Snyder has released, via his Twitter account, a teaser trailer to announce that a full trailer will be shown in select IMAX cinemas in the U.S. on Monday 20 April 2015. IMAX special teaser screening events have limited space available. Jeremy Irons and Sienna Miller have joined Tom Hiddleston on Jeremy Thomas’ anticipated JG Ballard adaptation High-Rise from Sightseers and Kill List director Ben Wheatley. Oscar-winner Irons, who will also shoot Zack Snyder’s Batman vs. Superman this year, will play a visionary architect while the in-demand Foxcatcher star Miller will play his devoted aide who strikes up a relationship with Hiddleston’s character Robert Laing. Production is due to get underway in July in Belfast, Northern Ireland, on the project, which HanWay is shopping in Cannes. The film centres on a new residential tower built on the eve of Margaret Thatcher’s rise to power, at the site of what will soon become the world’s financial hub. Designed as a luxurious solution to the problems of the city, it is a world apart. Enter Robert Laing (Hiddleston), a young doctor seduced by the high-rise and its creator, the visionary architect Anthony Royal (Irons). Laing discovers a world of complex loyalties, and also strikes up a relationship with Royal’s devoted aide Charlotte (Miller). But rot has set in beneath the flawless surface. Sensing discord amongst the tenants, Laing meets Wilder, a charismatic provocateur bent on inciting the situation. 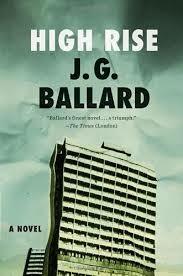 Wilder initiates Laing into the hidden life of the high-rise and Laing is shocked at what he sees. As the residents break into tribal factions, Laing finds himself in the middle of mounting violence. Violence that he also finds emerging in himself. Additional casting is underway on the project scripted by Wheatley’s wife and regular collaborator Amy Jump. Backers include Film4, Northern Ireland Screen and the BFI, which has committed more than £1m to the project. Wheatley added: “I’ve been a fan of Sienna’s since seeing her heartbreaking role in Factory Girl. There’s a steely resilience in her performances, and I know she will be excellent in her central role in High-Rise. Previous adaptations of Ballard’s work include RPC’S controversial drama Crash, directed by David Cronenberg, and Steven Spielberg’s epic, six-time Oscar nominee Empire of The Sun.